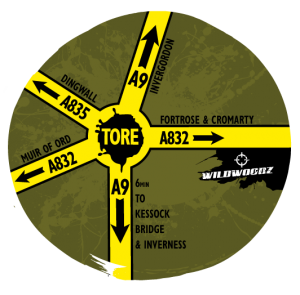 Woodzstock is held at Wildwoodz Paintball Park on the Black Isle just 10 minutes drive from the kessock bridge. 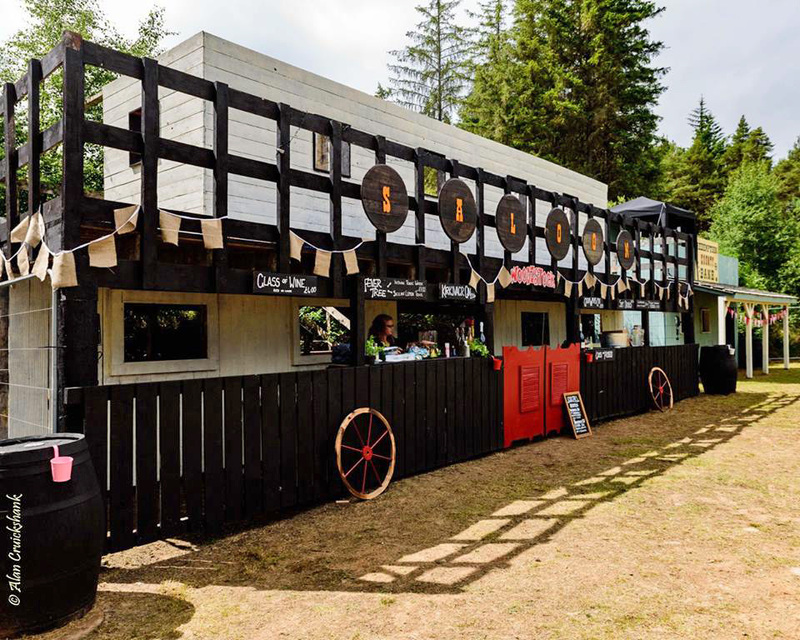 Home of the Highland’s most exciting day out – Wildwoodz is in many ways an ideal layout for a music festival due to its large main field and stage and ‘Redemption’ – the Wild West village and chill out area. Not to mention all the activities such as Lasertag and Bushcraft to keep the kids entertained throughout the day. Please Note: Due to the postcode covering a large rural area – we do NOT recommend using SATNAV to get to Wildwoodz. 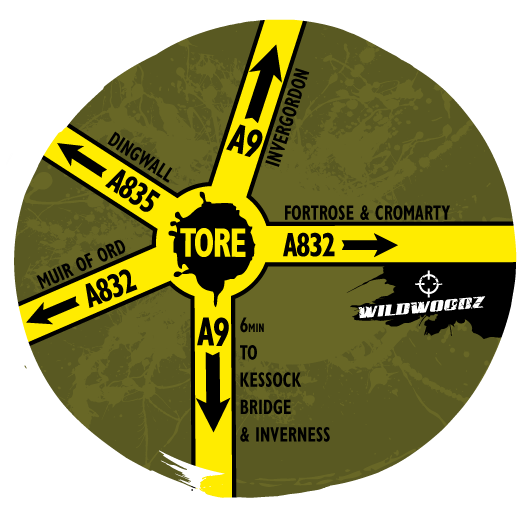 Wildwoodz is exactly 2 miles from Tore Roundabout on the right hand side of the A832.